Find out if your smile could benefit from getting dental crowns. While most people know what a dental crown is, they don’t often know when it’s the best way to restore or improve their smile. Our Mount Pleasant, SC, cosmetic and family dentist Dr. Cynthia Garner is here to provide a little more insight into getting dental crowns and why they are sometimes necessary to improve tooth function and enhance your smile. A dental crown is designed to look just like the crown of a real tooth. 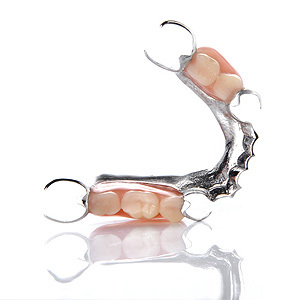 A crown will also be custom-made to fit over and fully enclose a tooth to protect it. This restoration can be made from different materials (e.g. ; porcelain; ceramic, porcelain fused to metal), depending on the tooth that needs to be treated and other lifestyle factors. All crowns are also customized to fit over your tooth, so you know that when you turn to Dr. Garner at Garner Family Dentistry, LLC, you will always get a beautiful cosmetic restoration that functions and feels natural. Your treatment plan will really depend on what needs to happen prior to getting your crown, sometimes we need to go into the tooth and remove an infected dental pulp (root canal therapy). Traditionally, a tooth needs to be prepped so that the crown can comfortably fit over the tooth. Once the tooth has been prepared, we will need to take impressions of the tooth using a special mold. This mold will be necessary for the dental lab to create your custom-fitted dental crown. Once the crown is made, you will come back in so that we can check the fit and make any necessary adjustments before cementing the restoration into place. If you have questions about getting dental crowns or other cosmetic options in Mount Pleasant, SC, then it’s time you called Garner Family Dentistry to learn more. Not only will a crown look and feel great, but it could positively impact your oral health.